Börner, Katy, Joe E. Heimlich, Russell Balliet, and Adam V. Maltese. (Accepted). 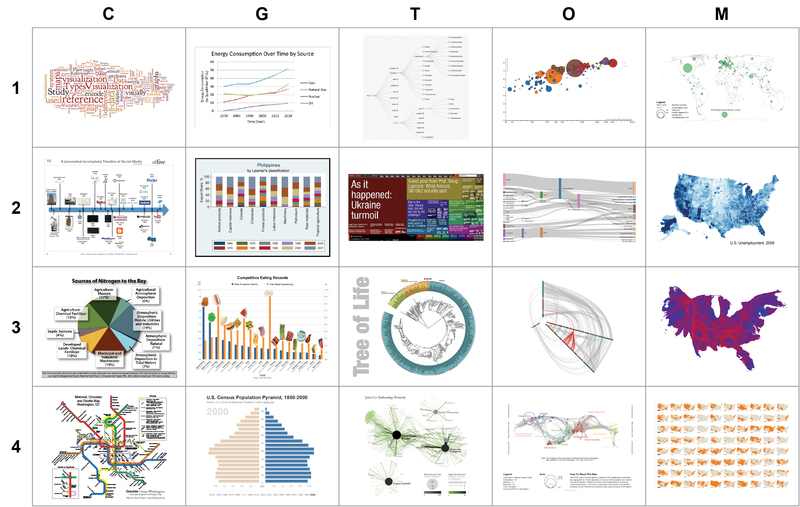 "Investigating Aspects of Data Visualization Literacy Using 20 Information Visualizations and 273 Science Museum Visitors". Information Visualization. In the information age, a person’s ability to read and make data visualizations is nearly as important as being able to read and write text. This paper reports the results of a multi-phase study conducted in informal learning environments in three U.S. science museums. The goal of the study was to determine the familiarity of youth and adult museum visitors with different visualization types. To address this, a total of 273 visitors were shown five out of 20 different visualizations that included two charts, five maps, eight graphs, and five network layouts. They were asked to judge the familiarity of the visualization, provide information on how to read it, and to provide a name, identify typical locations where they would encounter the data display and possible data sources that might be visualized in this way. Results show that while most participants have a strong interest in science, math and art, many have a hard time naming and interpreting visualizations. Participants in this study commonly encounter visualizations in school, in books, at work, on the Internet, and in the news. Overall they were more familiar with basic charts, maps and graphs, but very few are familiar with network layouts and most have no ability in reading network visualizations. When asked how they would interpret the visualizations, most participants pointed to superficial features such as color, lines, or text as important to developing understanding. Overall, we found that participants were interested in the visualizations we presented to them, but had significant limitations in identifying and understanding them. The results substantiate intuitions shared by many regarding the rather low level of data visualization literacy of general audiences. We hope they will help catalyze novel research on the development of easy-to-use yet effective visualizations with standardized names and guaranteed properties that can be readily used by those interested to understand and solve real world problems. Results also have implications for how information visualizations are taught and used in formal and informal education, the media, or in different professions. 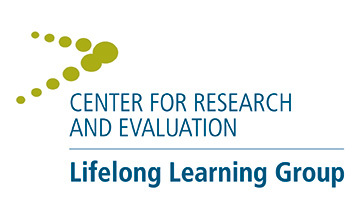 The protocol and instruments for this study were the result of a partnership between IU and the Lifelong Learning Group. Use is encouraged, but credit should be attributed to The CI for Network Science Center at Indiana University, and the Lifelong Learning Group at COSI Columbus, OH.